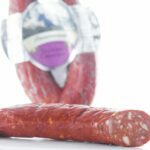 Specially selected cuts of premium pork and beef are chosen to make this salami which draws on the style of early Hungarian traditions. 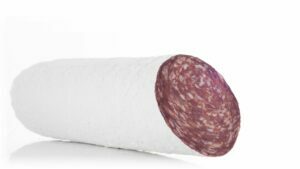 Our Hungarian salami contains the ubiquitous sweet paprika along with the added appeal of the finest cayenne pepper and is finished in an authentic white casing. Hungarian salami brings life to a spicy plate of oven baked sweet corn, zucchini and tomato on a bed of freshly prepared macaroni. For a lighter dish, serve with a tossed salad of iceberg lettuce, shredded carrot, green shallot and parmesan cheese. 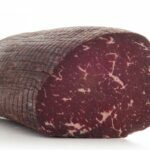 Ingredients: Meat Including Pork (94%), Salt, Skim Milk Powder, Lactose, Dextrose, Spices, Maltodextrin, Sugar, Red Wine (contains milk derivatives), Natural Colour (160c), Antioxidant (316), Dehydrated Vegetable, Sodium Nitrite (250), Culture.